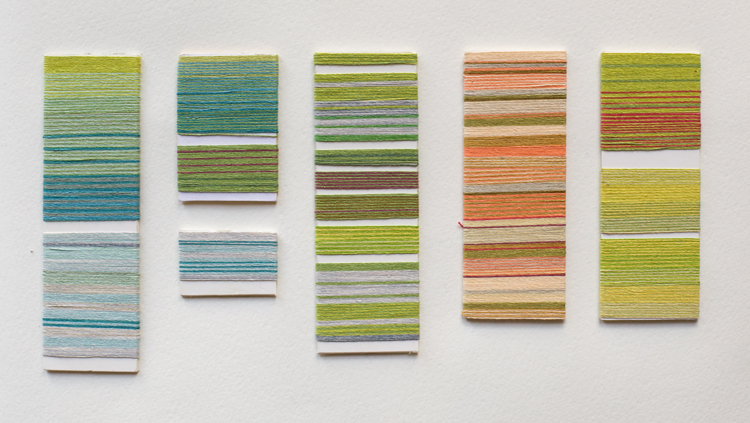 Join seam members Angie Parker and Penny Wheeler for a masterclass in weaving colour and pattern at this exclusive three-day workshop, set in the beautiful surroundings of Bath School of Art and Design at Sion Hill, Bath. 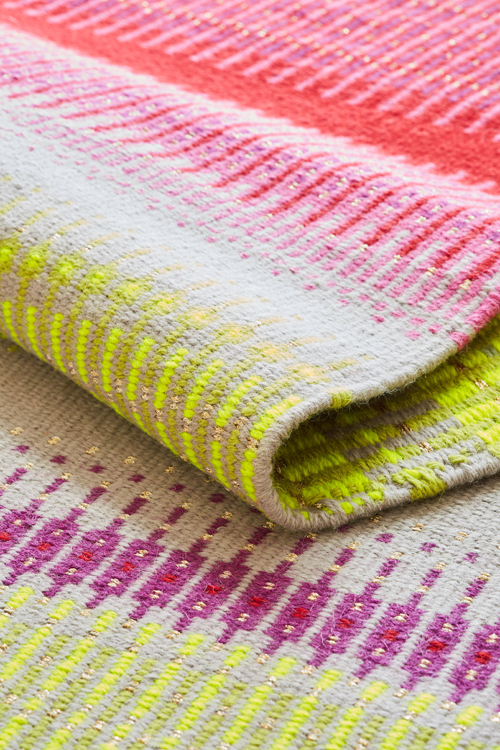 You’ll work with a dedicated table loom alongside the two tutors, who’ll show you how to set up and hand-weave two long-established pattern techniques: Krokbragd and Extra Weft. 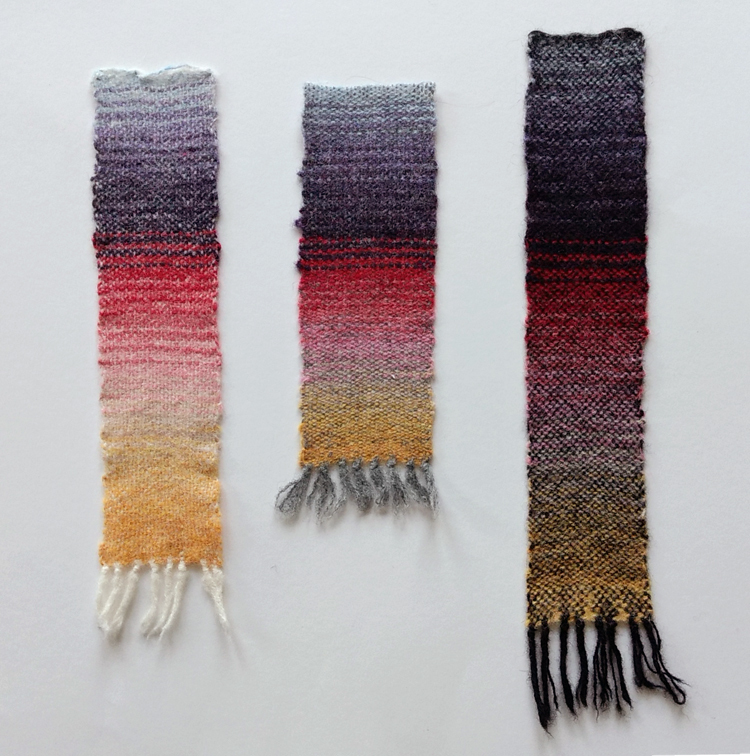 You’ll create your own design and colour combinations, inspired by colour theory and psychology, and work mostly with woollen yarns. The workshop is suitable for keen beginners and experienced weavers alike, and is limited to a maximum of eight students. 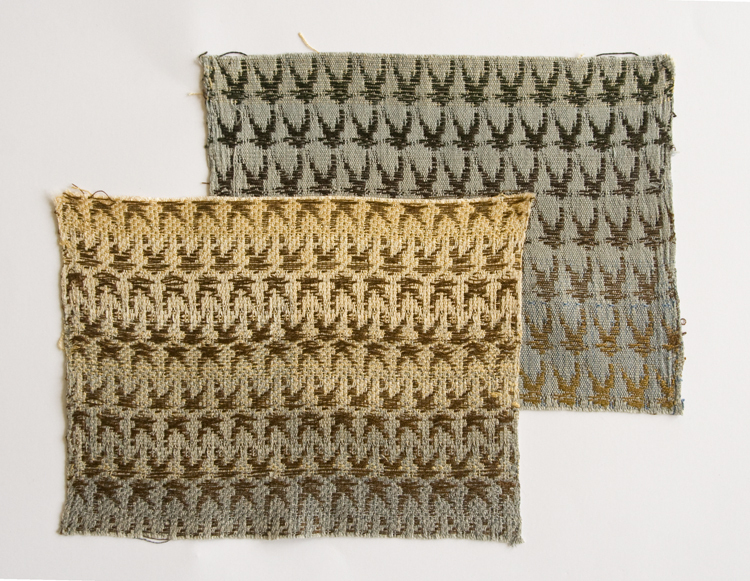 Three samples using different colour warps demonstrating the Bezold Effect and adding to the effect by decreasing the weft density. The cost per delegate is £265 and includes all materials. To register your interest, or if you have any questions about the workshop, please contact Cathy Leng at the Bath School of Art and Design: c.leng@bathspa.ac.uk.